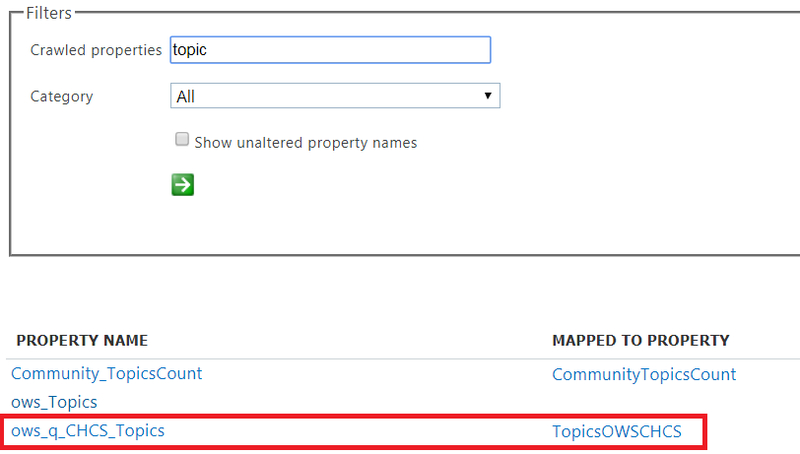 I have a site column of type Choice named "Topics", and i want to check if SharePoint Online has created "Managed Properties" & "Crawled Properties" for the site column. so why i am getting conflict results? could this be a bug in the UI? or i have something wrong? I have done a test in my SharePoint online and i can reproduce your issue. For this issue, i suggest you create a service request. Not the answer you're looking for? Browse other questions tagged sharepoint-online search administration managed-property crawled-property or ask your own question.